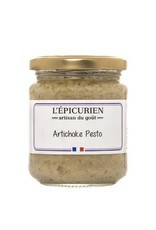 L'Epicurien Artichoke Pesto - Miam! 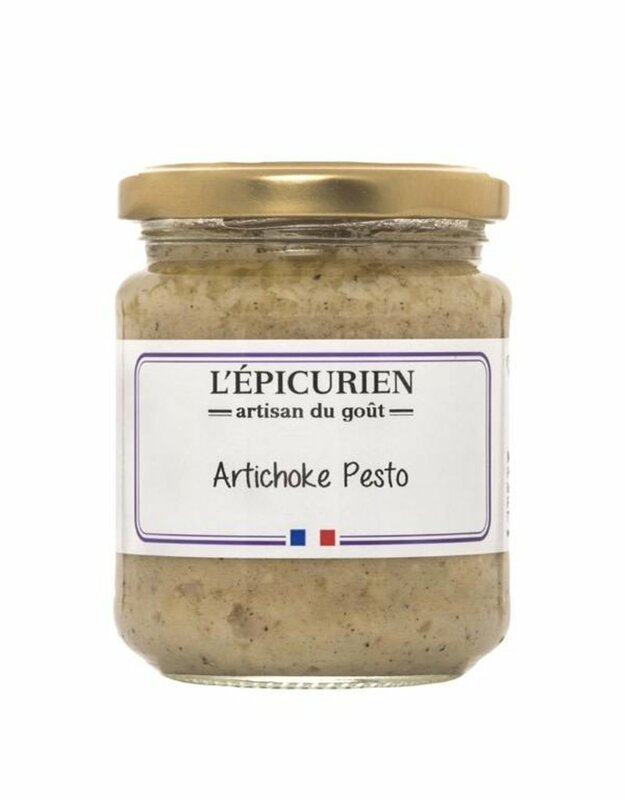 This Artichoke Pesto is made using traditional methods and with the highest quality ingredients. Additive and preservative free, this fresh pesto is the perfect accompaniment to any Mediterranean or Italian meal. Use this pesto as the filling for ravioli, spread it on a pita, or mix it with other dips to create unique flavors. Stuff this artichoke pesto into homemade ravioli or chicken, use it to create a dip, or simply spread it on a piece of freshly baked bread.